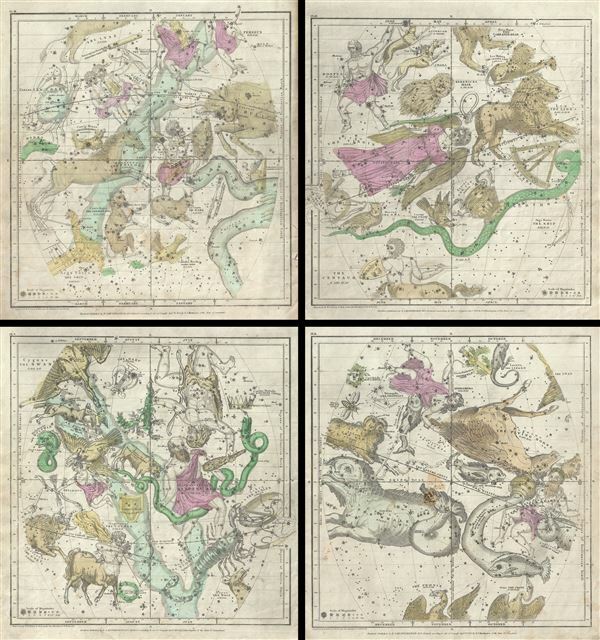 Rare first edition Burritt charts with individually colorized constellations. Very good. Minor spotting and overall age toning. Minor verso repair over margins. Set of four maps.